With the frigid temperatures in Long Island, NY, many homeowners may be have questions about their HVAC system. Will it hold up through the winter? My furnace isn’t blowing hot air. Why? My furnace is making a noise. What does that mean? These are all common questions and concerns. In this type of weather, you want to be sure your furnace is in top operating condition. Maintaining your HVAC unit is an important part of home ownership, but sometimes things still go wrong. It’s helpful for homeowners to recognize some of the more common furnace problems listed below. Usually, when people hear a loud noise coming from any of their appliances or motor-driven things, they become concerned. Usually, it is cause for concern. Some furnaces will make a crinkling or popping sound while running. This is the sound of air blowing through the ductwork and causing it to expand and contract. Within your furnace is a blower housing unit which contains the blower motor, wheel, and belt. If the blower belt comes loose or gets worn, it will make a squealing noise. It could also indicate a problem with the blower motor. If you hear a loud bang similar to a mini explosion when the furnace starts up, it’s usually because ignition is slightly delayed. This means your igniter may be faulty. If you hear a scraping, scratching sound, it may mean the blower wheel is malfunctioning. Sometimes the problem is nothing more than a dirty blower wheel which causes it to become unbalanced. A technician will clean it for you and check to make sure it’s not the wheel itself that has come loose. If you hear your furnace running but your house isn’t heating up, it may be simple to fix. The problem is most likely a dirty air filter. Dirt, dust, and debris collect on the air filter over time reducing the amount of airflow. Eventually, as the air filter becomes extremely dirty, the furnace won’t be able to heat your home. Replace the air filter and see if that solves the problem. If not, then have a technician inspect your unit. No one wants to have the furnace running nonstop. In very cold temperatures if you don’t have adequate insulation, you may experience it running more than normal. But if your furnace is running almost continuously, then there may be a problem with your thermostat or a bad fan limit switch. However, before you call a professional, make sure that you have your thermostat set properly. The fan switch on your thermostat should be on “auto,” not “on”. If you do have it set for “heat auto” but it’s still running all the time, then it’s time to check with a technician. In this type of weather, not having heat is a serious problem. Sometimes when a furnace won’t turn on it’s simply a tripped circuit, the thermostat isn’t set right (see above), or a clogged filter. However, occasionally the problem is more serious such as faulty ignition sensor or thermostat. Keep your furnace in top operating condition and ensure a smooth inspection process. 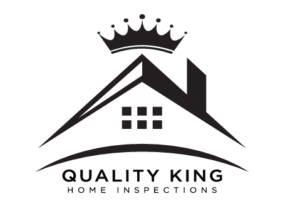 For more questions about home inspection requirements or furnace tips, please contact Quality King Home Inspections today! Making Your Home More Energy Efficient Are Smart Home Devices and Technology For You?